The porridge consists of maize, soya, vitamins and minerals. 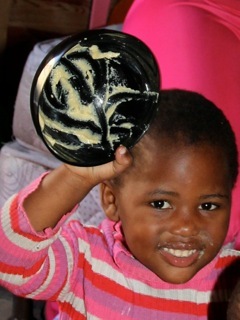 The volunteers distribute the porridge at schools to vulnerable children from the townships. The schools are located in the Knysna/Plettenberg Bay South area. Associated Organization: www.epapfeeding.co.za. All funds are spent on food; all labor is by volunteers, with no overhead costs.